Maintaining clean restrooms is critical to keeping building occupants, whether they are customers or employees, healthy and happy. 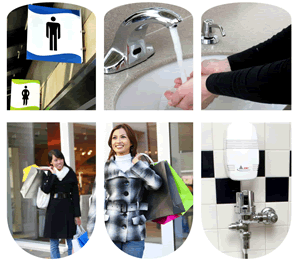 Restroom products help achieve real user satisfaction with odor control, hand care, green cleaning and infection control programs. From complete room deodorizing to environmentally safe cleaning products, we take the worry out of restroom sanitation with a complete program that creates an enhanced building image while saving money through less water consumption, fewer employee illnesses and the use of effective cleaning products.